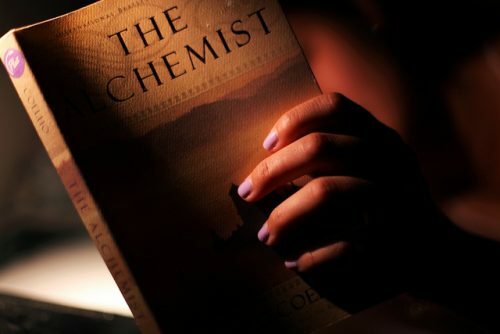 Some of you may find Coelho’s book, The Alchemist, interesting especially if you are committed to following your heart and dreams. Here is a link to an interview that Krista Tippett of On Being did with Paulo Coelho. In this interview, Coelho discusses his pilgrimage on the Camino De Santiago and the process of learning about who was/is, what he was called to do in his life, and what it means to step into what life has to offer. I hope it offers a bit of inspiration for you to look into how you might change your life for the better and why a change might be life-giving (to you and others). I also hope that it helps you begin to explore or explore more deeply just how special each of you is because of the unique gifts you possess. Who are you? What do you want? Why do you want that? Click HERE to join my mailing list and receive a free copy of a 10-Minute Future Self Guided Visualization designed to help you access your own internal resources for getting unstuck. If you are interested in working with me, please complete a needs assessment form HERE and schedule a free 30-minute strategy session about taking your life and work to a new level. In this call, I’ll recommend strategies for you to move forward. These strategies will be based on what you share with me in our conversation. We can also discuss working together. To check out other options for working with me, please check here. Leading One’s Life Consciously and on Purpose: What Does Adult Development Theory Have to Do with It?